At Green Future Solutions, we do our best to keep track of the green groups and sustainability industry in Singapore through our annual Singapore Green Landscape, which is in its 7th edition this year. 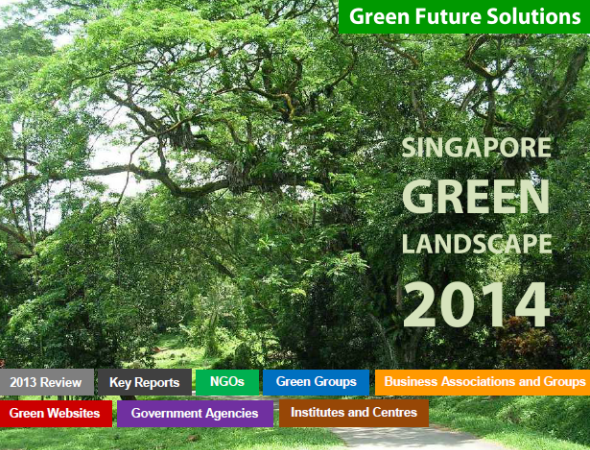 The Singapore Green Landscape 2016 highlights the 11 key government reports that are related to sustainability, and introduces the 47 non-governmental organisations and non-profits; 57 green groups; 17 business associations and groups; 52 green websites; 26 government agencies; and 49 institutes and centres in Singapore, which are relevant to the environment. Published in Jan 2016. Copyright © Green Future Solutions Group Pte Ltd. All Rights Reserved. Do you wish to know more about the environmental scene in Singapore? 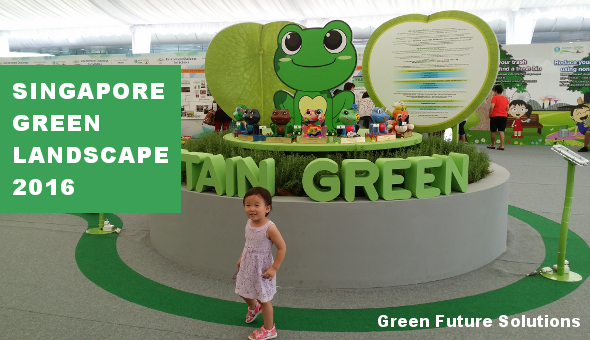 Find out now from our 5th edition of the Singapore Green Landscape! The Singapore Green Landscape 2014 provides a review of 128 key environmental news in Singapore last year, and highlights the 8 key reports that are related to the environment. It also gives an introduction to the 36 non-governmental organisations (NGOs), 36 green groups, 16 business associations and groups, 39 green websites, 25 government agencies, and 44 institutes and centres in Singapore, which are related to the environment. 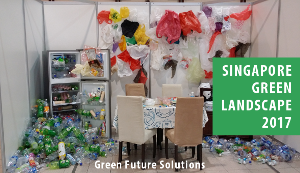 We hope that this publication is useful for everyone who wishes to know more about the state of the environment in Singapore, find and connect with the environmental organisations in Singapore, or explore personal and business opportunities. This publication is free for download. Feel free to share this with others. 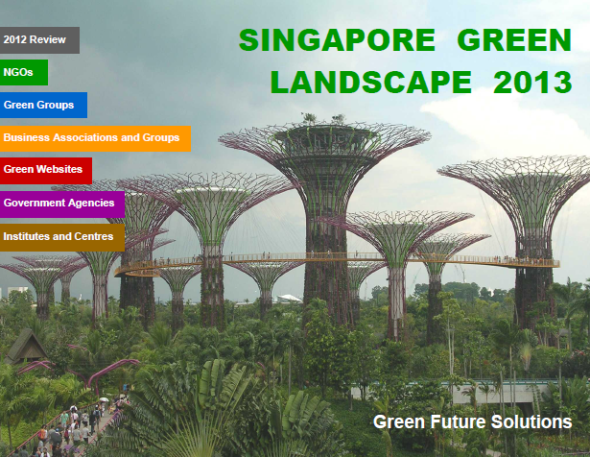 To download your free online copy of the Singapore Green Landscape 2014, simply sign up for our newsletter below and we will email it to you within 3 days. Do you want to know more about the environmental scene in Singapore? 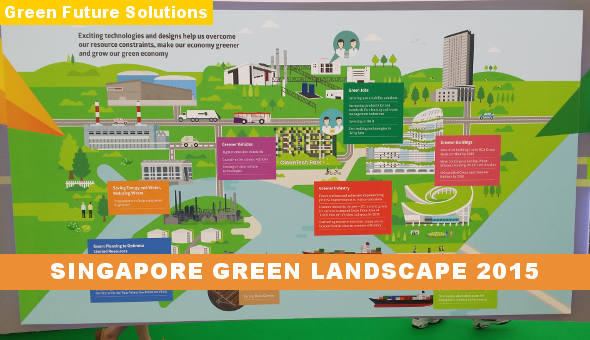 Find out now from our 4th edition of the Singapore Green Landscape. This year, the Singapore Green Landscape 2013 provides a review of 96 key environmental news in Singapore last year, and gives an overview of 166 non-governmental organisations (NGOs), green groups, business associations and groups, green websites, government agencies, and institutes and centres in Singapore, which are related to the environment. We hope that this publication is useful for everyone who wishes to know more about the state of the environment in Singapore, find and connect with the environmental organisations in Singapore, or explore personal and business opportunities. This publication is free for download. Feel free to share this. Fill in your contacts below to download the publication (click send and wait for the file to load).